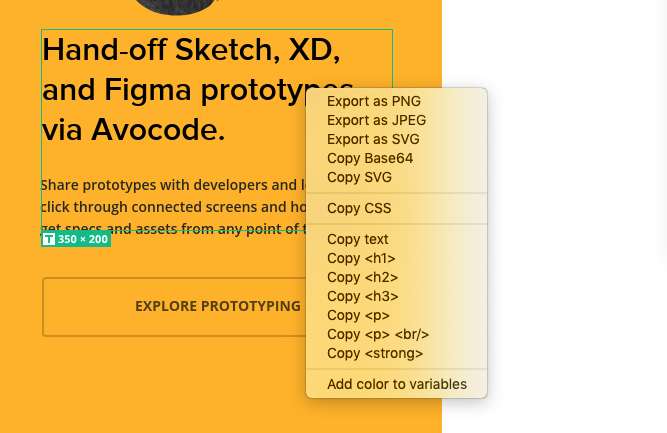 Quickly export design layers as image assets, copy code, or copy text wrapped in html tags using the context menu. NOTE: This feature is available only in the Avocode desktop app. How to export HTML from Avocode?